Relief Riders International is a humanitarian-based, adventure travel company that designs and leads horseback and motorcycle journeys through remote areas while providing humanitarian aid to rural populations. Since 2004 we have been able to improve the lives of over 25,000 people, including 18,700 children in India, Turkey, and Ecuador. Watch Wesley Brown's heart warming film of the experiences she had while on this past November Pushkar Relief Ride. This is the first time in 15 years, that a film has been able to capture the length, breadth, experiences and feeling of our our Relief Rides in their entirety. I hope you enjoy watching this very stirring and wonderful film. Read about Elena Viennet's experiences with us on this past February's Khimsar Relief Ride in her own words. It was a great joy to have such a courageous young rider join us. I hope all of you enjoy reading about her experience in India. Alumni rider Professor Sue Beeton, a travel and tourism researcher, joined us on our Andes/Amazon Relief Ride and brilliantly shares her experience with us in her piece "Living In A World Without..." We hope you enjoy it as much as we did! 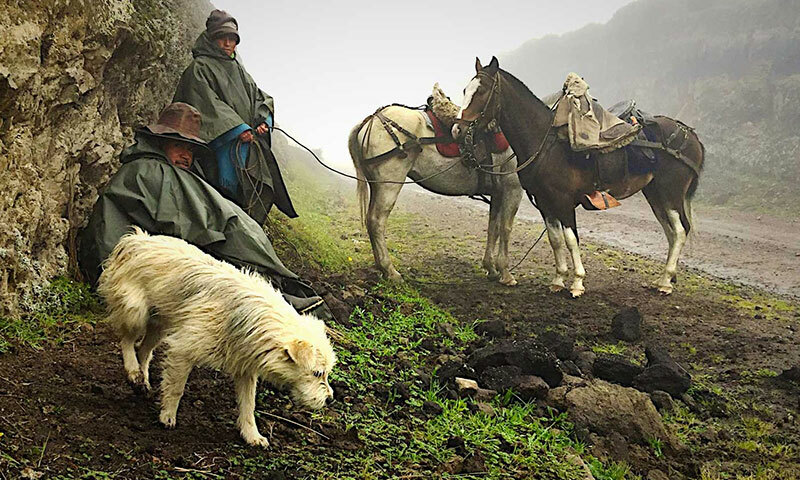 At the foothills of the Andes Mountains, we'll spend our mornings sipping coca tea in storied 17th century haciendas, while the rest of our days will be spent traversing stunning valleys at 9600 feet. In between riding through miles of swirling grasslands, visiting a condor sanctuary, and touring a famed free-trade coffee plantation, we'll deliver much-needed dental and obstetrics care to a remote village in the sky. In the Amazon Rainforest, as guests of the Sapara tribe, known as the "healers" of the jungle, we'll learn firsthand about traditional medicine, the wisdom of the forest, and have the opportunity to take part in shamanic ceremonies. We'll kayak and swim in the river, hike with indigenous guides, exchange gifts with the community, and gather around the fire with the elders in the evening. Even with so much to see and do, there will be ample time to rest, whether in a hammock serenaded by the jungle chorus, or in one of the therapeutic thermal pools on our way back to Quito. 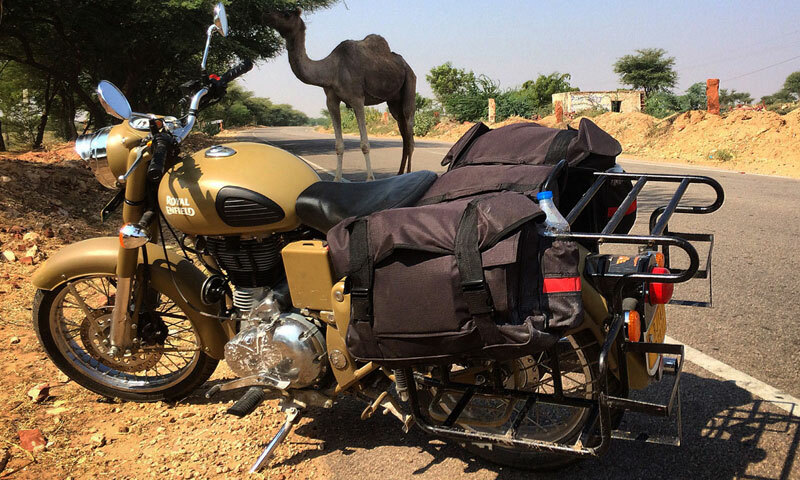 Like the desert nomads of the region, we'll ride due south, traveling seemingly endless sand tracks through breathtaking terrain, from rolling dunes to open plains and a mountain pass through a steep gorge, before arriving in the valley of Pushkar. On the way we'll pass through villages, which travelers rarely experience, let alone on horseback. We'll sleep under the starlit sky in canvas-covered tents, and during the days, we'll hand out educational materials to underserved schools, conduct our Give A Goat program, and set up medical camps, which provide dental, eye, and obstetrics care to populations lacking healthcare. 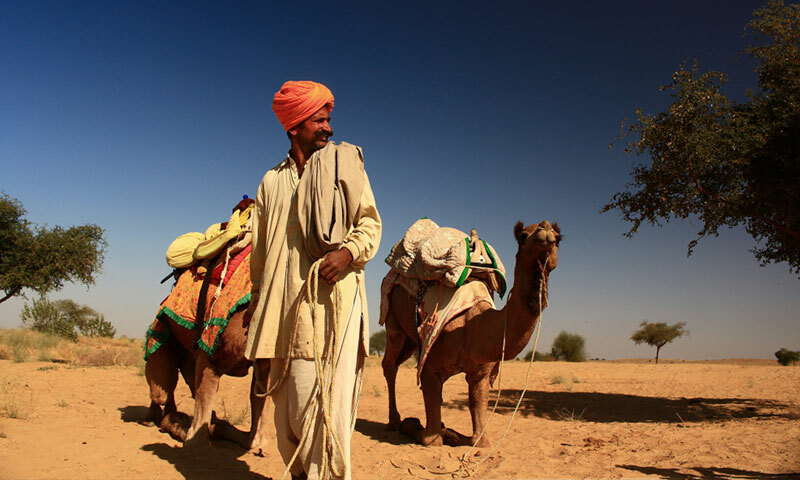 In Pushkar, on the banks of the lake, Rajasthan's largest camel fair awaits. One of the most sacred pilgrimage destinations for Hindus in India, the usually sleepy Pushkar transforms into a spectacle of color and celebration around November's full moon with livestock traders descending to buy and sell camels, cattle, and horses. But the real fun begins when the games kick off. 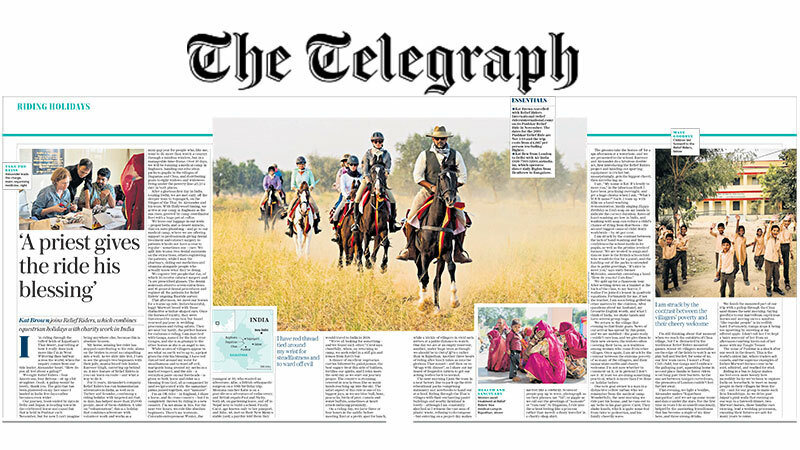 Think camels brightly adorned in costume racing to the finish line, the drama of only the finest Marwari horses dancing, the infamous longest mustache competition, and the Hindu bridal pageant. All in all, the perfect end to a memorable and transformative experience. Bishnois are renowned animal and nature lovers, due to their protection there is an abundance of animal life in their ancestral territories, deer, antelope (including blue bulls, black bucks, chinkaras, and chowsinghas) are seen grazing in fields despite the fact that the State of Rajasthan faces severe water shortages. As we traverse some of the most remote regions of India navigating the dunes and encountering lost temples, we will bring free dentistry, gynaecology, and cataract eye surgery programs to local communities. We will also be delivering livestock to widows and below poverty level families, as well as educational materials, sporting equipment, and paediatric programs to young children at the five schools we visit on the ride. As if all this fun was not enough, we also have the opportunity to give back with our free eye and dental camp near Pushkar and our well dig and bathroom build at a poor school in Ajeetgarh. 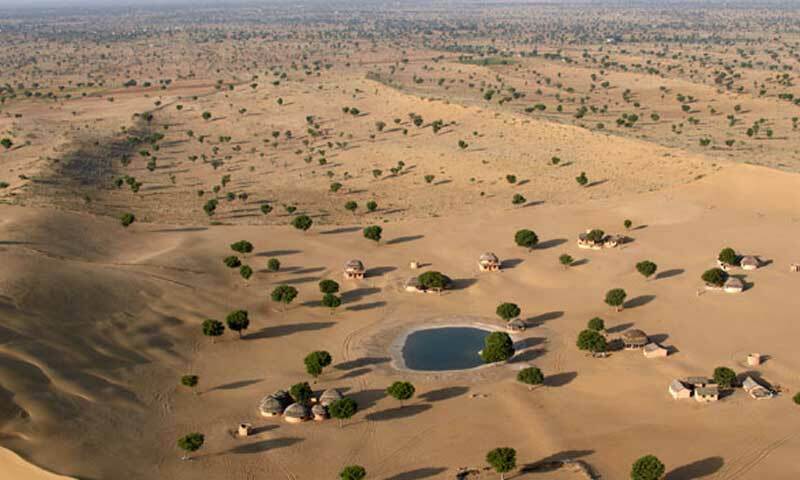 This purposeful adventure promises to be an experience of a lifetime!